Know when and where to KiteSurf! 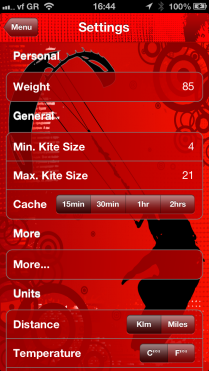 App Store Get It & Find the optimal kite size to use. We have taken weather forecast to the next level. Using your weight and kite size we let you know where and when to go kiting. 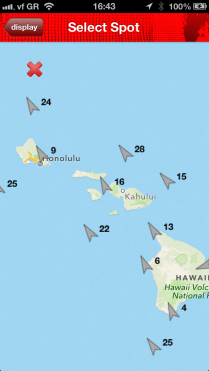 Select the spot you want to kite. 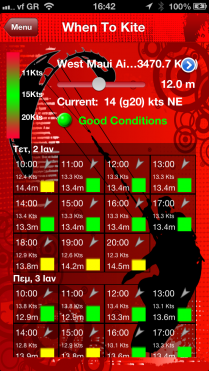 Using you weight and kitesurf size, we let you know when it is best to go kiting. Being flexible is always nice and gives you more kiting. The app lets you create multiple profiles. Each profile can contain up to 10 spots. 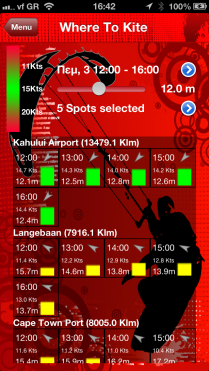 Select the time you want to kitesurf, your kite size and profile. Based on your weight and wind speed we give you the spots you will be able to enjoy kitesurfing. 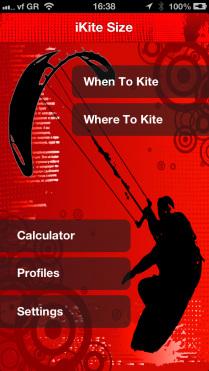 A simple app that answers the most common kitesurf question: “What kite size should I use?”. Enter you weight and the wind speed and the app will give you the minimum, recommended and maximum kite size that you should use. Alternatively, you can enter you kite size and the minimum, recommended and maximum wind speed will be given for you weight.